Data centers are facilities that house an organization’s IT operations and equipment, along with storing, managing and disseminating its data. The equipment includes servers, storage subsystems, networking switches, routers and firewalls, and the cabling and physical racks used to organize and interconnect the IT equipment. An adequate infrastructure is also required, including power distribution, supplemental power subsystems, environmental controls, network connectivity, physical security, and operational support staff. A data center can be consolidated in installations across multiple locations supporting a single organization or can be co-located in a facility where an organization rents server space. Key elements in the design and operation of modern data centers include energy consumption and efficiency, security and safety, and infrastructure management. The technology and efficiency of the servers, UPS and backup generators, along with the cooling and ventilation are all important to the operation and environmental impact of a data center. Security and safety of the data and installation includes the use of access control, video surveillance and protection for physical damage. Management software provides for configuration, performance measurement, workload management, and fault detection and correction of the IT equipment. A number of factors will determine the complexity of the architecture of the data center. For example, is the data center for a consolidated enterprise, co-located, or hybrid application, is the data mirrored, are virtualization, clustering, or high performance computing (HPC) supported. Hybrid applications allow for better utilization of the equipment by allowing outside access and use of a portion of an enterprise’s resources. Virtualization and clustering also improves the utilization of resources by dynamically configuring the servers based on current and projected workloads. HPC’s support computational intensive applications through the use of configurable high availability low-latency parallel processing resources. There are several international standards relating to the design and operation of data centers. These include TUI3026E, EN 50600, ANSI/BICSI 002, and ANSI/TIA 942. The ANSI/TIA-942 standard provides a baseline for the design of a reliable efficient data center. This standard provides four Rating/Tier levels for the design and certification of data centers, along with requirements for redundancy, availability, and allowable downtime. TechPats has tackled, among other technologies, a number of projects involving HPC (High-Performance Computing) applications. These projects involved the investigations onto the architecture of HPC systems and the software used in such systems. Such architectures are sophisticated with advanced intercommunications mechanisms and multi-dimensional interconnect topologies for providing scalability, together with high-speed and high-bandwidth communications between processors and computing systems. TechPats also has very extensive expertise and experience in security for computing systems. 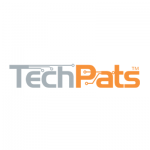 TechPats has an extensive team of technical experts covering a number of data center technologies, each with many years of experience in his/her technical field. Our team includes experts that have extensive knowledge related to and many have participated in the development of a variety of products in this field. Our expertise includes analyzing and interpreting the multiple specifications with respect to various products, detailed hardware analysis and tear-down services for associated products, as well as live testing and real-time network analysis for products.